Another great post, Thank you PT. Printing this out now to store with my oils! Thank you for this article it is very helpful in making sure we get good use of our oils and the full benefit. I bought a Vetiver four years ago. I went to diffuse it this week and it would come out of my bottle. I took off the stopper and used a toothpick to try and clear the way, but it has become very viscous and sappy. I was able to add 2-3 drops to my diffuser by pouring carefully, but the stopper is useless now. Is it bc this oil is starting to “go bad”? Kaylee, Vetiver is one of the longest-lasting oils, with a shelf life of 6 to 8 years. Vetiver is a very thick oil and can kind of crystalize making it tricky to come out of the bottle. If you’re able to transfer it to a clean bottle that may help, or you can choose to use a pipette instead of waiting for it to come out of the dropper 🙂 But I highly doubt it is starting to “go bad”…however, if you’re still concerned, please reach out to our team of aromatherapists at [email protected] to discuss this further. I hope this helps! Thank you for clarifying this!! I’ve been struggling to understand how oils “can’t go bad” yet they have a shelf life. Never thought about them oxidizing into something else. I’ll definitely be paying closer attention to the shelf life. This information and the chart are very helpful! Thanks for keeping us all informed! This makes things a lot clearer. Thanks! Excellent, informative post! Thanks for the helpful info! Something I have never thought about before. Thank you for this information!!! I will be keeping better track of when I receive my oils esp when I have duplicates! Thank you for this informative article! I see it says that the shelf life starts the day we receive an oil. Is this when the oil is opened or are there other factors like storage that would still effect the oil even if unopened? Very good information to have. For a newbie things like this are important to know and the blog was written in a way that is easily understandable. I am fairly new to essential oils, so I found this article very helpful. I am very big expiration dates with anything I eat or use on my body. I have heard so many different thoughts on the life of essential oils. Thank you for this helpful information. This is very helpful information, especially for someone new to EO like myself. Thanks you Plant Therapy for being straightforward and caring about the wellbeing of your customers. Thanks for the information, I store my oils on a closet that is kind of cool and away from light, I don’t do anything about the “oxygen” though so I would still like to know roughly how long is the shelf life of an essential oil (not stored on a fridge nor decanted into smaller bottles). Many thanks! Mariana, check out our shelf life chart here: https://www.planttherapy.com/pdfs/shelf_life_charts.pdf. The length of a shelf life depends on the oil as well as the conditions it is stored in. Just stay aware of any changes in odor, color, and consistency. If you have more questions, please don’t hesitate to contact our aromatherapists at [email protected]. This was an extremely helpful blog, and something I have wondered about. 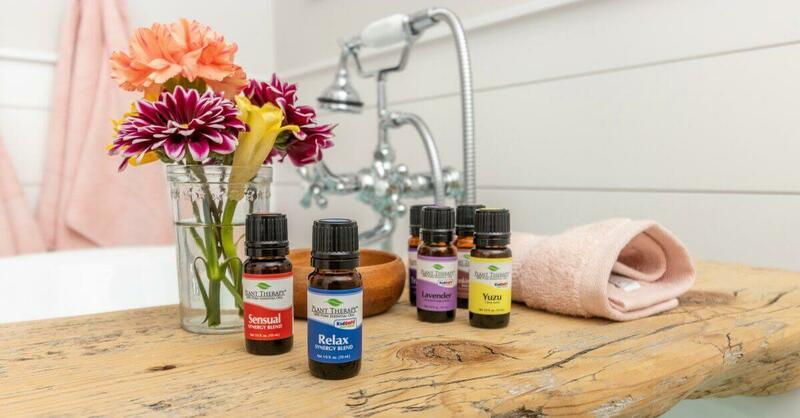 I am thankful that the research was done for me in this blog, and I know some tips now to help keep my oils as fresh as possible. Thanks so much! Looks like I may have to move my lesser used oils to the chilly basement, unti I can find the perfect mini ( but not too mini) fridge. Thank you so much for the chart. I enjoyed reading your article. I had been wondering how long my oils would last. I’ve been using EO for over 20 years and PT has become a favorite. Its nice to know exactly when our oils are bottled and shelf life. Thank you for this post. It is interesting and informative. This makes so much sense to why my roller balls go bad faster! Plus I would assume the carrier oils go rancid. Helpful information, thanks! I keep my oils in the 1-2 year expiration range in the refrigerator. I need to clear out a cabinet on an outside wall (very cold in winter) to keep the others cool and move them to a cooler place in summer. They are all in closed, dark storage boxes. Thanks again! Thank you so much. Looks like I need to purchase a new refrigerator just for my oils! I’m going to share this! Thanks for the info! Now I know that essential oil fo expire! This is some really interesting information. I have noticed some of the oils I’ve purchased change in scent and consistency much more quickly than others… I’ll be keeping a close eye on my oils and reconsidering how I store them! Thank you for your commitment to making sure your customers are educated on their purchases. I’m taking some time this morning to really explore your website and get to know your company and so far, I am really impressed! Thank you so much for this information. I don’t have room to store my oils in the fridge, but I do keep them in a wooden box. I learn so much from your blogs. I appreciate the time Plant Therapy takes to educate me and others about essential oils. That is one of many reasons I love this company and will continue to buy from them. 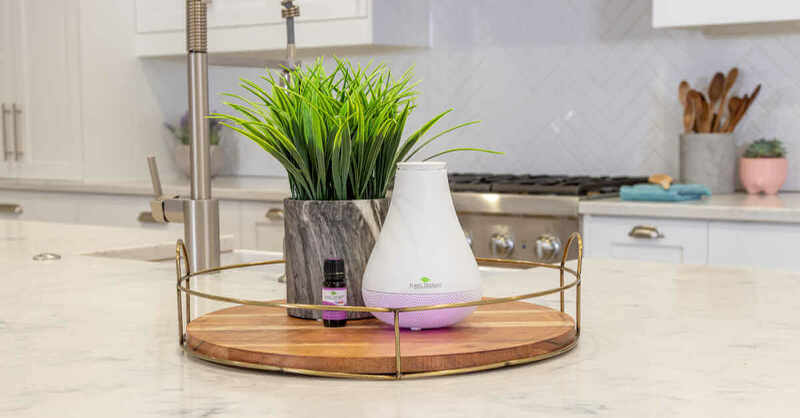 I found that when I used MLM brands of oils that I never wanted to use them unless I HAD to, not because I wanted to diffuse them just to make my home smell nice. And when I did diffused them, I was stingy in how many drops I used, because they were SO expensive. I would have oils lasting for years. With PT I diffuse every day, in every bedroom, and main living space, plus my car. There are some oils that I only use when needed, and I’m glad to know the shelf life, because I’m sure I’ll reach them. But because PT is so affordable, I use them enough that I won’t hit the shelf life. Thank you for the handy chart! Very interesting. I was just wondering this the other day. Thanks for the very helpful information! Thank you so much! I have been wondering about this. I appreciate your transparency so much! This information changed the way I look at essential oils. I was one of those who thought they had an eternal shelf life. I’m so glad I found PT and the wealth of knowledge you share! Thank you! Oily goals… get a mini fridge or two for my precious bottles! Thanks for keeping us informed and safe! Now I understand that I need to make room in my fridge for several EO containers. Thank you for the information. Thank you for this vital information and for the chart. Very helpful! Thanks so much for this information, I knew oils expired, but I didn’t know what to see or smell or expect when that happened. Thanks so much for this information, i knew oils expired, but I didn’t realize what that really meant or what to expect to see or smell when that happened. wow, i love this blog post. It’s so useful, because i never really knew what the shelf lives of essential oils are. I do have a predicament though. I have had essential oils lemongrass and sweet orange for more than 2 yrs. While they still smell the same because I’ve kept them in cool, dark place, they have kind of ‘thickened’ and leave sticky residue in my diffuser after it’s finished diffusing. Any reason why this happens, and can i still use the EO? We recommend that if you notice a difference in your EO, especially when it’s a citrus as those have the shortest shelf life, to maybe retire those oils into cleaning products, rather than diffuse them or use topically. Differences may not always present themselves as a change in aroma, which I’m sure you’ve noticed since the consistency has obviously changed and not the smell. Please don’t hesitate to reach out to our aromatherapists at [email protected] if you want more information about your particular situation. Sometimes it helps to have a one-on-one conversation so you can really dissect the changes your oil may be going through. I’m pretty positive they will recommend that you consider getting new oils though, since, at least for the Orange, the shelf life has been reached. 🙂 I hope this helps! Thank you for the great information . Very helpful! Sounds like Plant Therapy is doing a great job insuring their oils are preserved before shipping them to us. I love that this company always goes above and beyond to make sure all their customers have all the important information. I have been using EO’s for six years and I have learned so much of what I know from this amazing company!! Keep up the good work! Thank you for this great information and thank you for the chart on shelf life. This helps clear up so many “opinions” out there. Oils are an investment in our family’s health and learning more through your blogs and articles helps us along this journey. I always recap my oils immediately and store in a dark cabinet in the coolest room, but your information is priceless! Thank you! Great info for us still learning and thanks for the chart. Thank you for this! wonderful, IMPORTANT info! Great information! I really enjoy learning the science behind essential oils, and this was really interesting! This was a great article! Thank you for the expiration chart. I printed it out so i have it handy. Thanks for this information on the shelf life and how to store the essential oils, i’m new to this and learning more and more everyday thanks PT. This is great info, I have always kept my oils in a hard shell case(s) with foam holes to insert the oils in and kept the cases in a cool dry place. I also find entering them in an essential oils database app keeps all the info on any particular oil right at hand. Thank you for this information. There are so many conflicting articles out there about aromatherapy and essential oils. It is nice to have a reliable source to get accurate information. Thank you so much for this info! I’m going home to label my bottles! I had no idea! Thank you for this information! There are some easy changes we can all make to extend shelf-life! this one is very useful, thank you. Thank you for always being so informative! I’m learning so much along this oily journey. Love that you are so committed to your customers. This is one of the best blogs I’ve read. Thank You so much. I’ve heard people mention they keep oils in the frig, but I never knew why. Also, to recap bottles right away. You gave so many great tips & the reasons behind these tips. “Or, you could do as I did and buy a whole separate fridge.” – I wish I could do this, but we live in a 48 sq m condo… I guess having a mini-fridge would be an option, but then again, my entire EO collection won’t fit in it, hahaha. Thanks for the reminder. So I guess I don’t have to panic about my citrus oils going bad in a year or 2 right? Thank you for this informative information, I am going to start being more productive with my oil. Thank you for such a clearly written article on oil expiration. Helps me to understand much better and is appreciated. This was so helpful! I’ve noticed that some tree oils get very thick with time, but the chart says they last for 6+ years. Do you have any suggestions on how to revive these oils that thicken overtime, but are still useful? Hollie, reach out to our aromatherapists at [email protected] and I’m sure they’ll be able to help you out! I appreciate this post and the accompanying chart. Guess I should start to use up some of my citrus oils soon. Thank you for this useful info. Thank you for this info! I spent some time last weekend labeling my oils with the date I bought them and their shelf life range so I can make sure I am using them before they start to lose their therapeutic value. Turns out I’m doing better at using my oils than I thought. This was extremely helpful information. I know I have oils beyond the shelf life. I love the idea of dating them, and marking shelf life. My question would be is there anything that i can do with the ones i have that are past their date or are they trash? This blog is very helpful. It answered many of my questions about shelf life. I did purchase a fridge to keep my oil shelf life at it’s peak as long as possible. Keep up the good work! Thank you for the well written, easy read, informative article. I would like to share an easy method for keeping track of your essential oils. I’ve made a spread sheet to keep track of the oils I purchase. I have the oils listed with the purchase date and size, as well as the expected shelf life. If I purchase duplicates during the year, I also place a small sticker on the bottle with the newest purchase date. This method has worked well for me in keeping my oils organized and using them within the expected shelf life. A small refrigerator works great for storing the wooden boxes of oils as well as carrier oils, well worth the investment. Thank you EO Mama. I like your idea, and I’m going to use it. Thank you PT for this informative article. I just purchased one of your storage cases to keep my EO collection organized. I didn’t realize that keeping them stored in one of these wooden boxes would also help to prolong the life of my oils be keeping them in the dark. Great topic! I love that I can just go to the blog to answer almost all of my questions! Thank you so much for the information on shelf life, sometimes it’s hard to remember when I bought the bottle. Is there a way to tell on the bottle itself when it was packaged? Yes! On each bottle we have a code listed near the bottom. Our newer bottles have the letter/number combo written pretty brightly, but if you have a bottle that’s a bit older you may need to shine a flashlight on the bottle to find the code. The last 4 numbers on that code refer to the year and day it was bottled. For instance, if the last 4 are 8303 that means it was bottled in 2018 on the 303rd day of the year. Hope this helps! Thank you. This is really good information to know. I always wondered how Plant Therapy was able to pause the shelf life clock when it was still in their possession. Now we know. Request: Would you be able to do a similar blog post on carrier oils? I’ve thrown out carrier oils more than once because I wasn’t sure if an oil was expired and, if so, what that meant for using the oil. Thanks PT! Oh my! I am going to start adjusting my storage and useage practices right away! Thank you for the clear and concise information! I guess it is time to get rid of some oils I have had for years… thanks for the info. Very informational! Great to know where to store my oils to keep them fresh. Great to learn something new! Have not thought about oxidization of oils before. An amazing amount of understandable and vital information for me as a beginner I truly appreciated this post and will be saving it for future reference! Great blog! Thank you for the information. Wow! This is really good information. Thanks for explaining! Useful information. Luckily I go through my oils pretty quickly and haven’t had to give shelf-life much thought! Thanks for this. I am new to EO’s and will be using your referenced shelf life info. This is a great resource. I love having shelf life all listed in one place. Thank you so much for this! I’m going to have to check my older oils now. Great information! Honestly I never considered this but thanks for the information. The chart was really helpful too! There is so much to learn as a new oiler but your helpful information is making it much easier! You answered a question that’s been lurking in the back of my mind. Thank you for such helpful and practical posts! Thanks for the fun science lesson! I haven’t seen thecreason for a shelf life broken down that way before. Really fascinating. I only order oils for specific reasons and keep in the refrigerator. Always wondered if I was missing something, not having a big collection. Now I see, if I did have a lot of oils, they will most likely get old before I can use them all. I have always wondered about this, thanks for the information. Wow. I didn’t know that essential oils actually have a shelf life. I always thought that essential oils won’t go rancid like carrier oils do. Now I know how actually challenging my path will be if I want to continue to the path of being an aromatherapist. But this will not steer me away from this path as that will only make me work harder. Thanks. OH! Wow! I really had no idea. Im glad I now know! Thanks! I love when you share the science of the oils! It’s nice to know the cold hard facts! I also love the nitrogen barrier, super cool! Thank you for this! Using actual degrees instead of “a cool, dark place” is so much more helpful. I only found out about refrigerating oils when I joined the SEOR FB page. Luckily, It’s been cold & they’re mostly all new. I appreciate your company and all that you teach us!! Thanks for this blog post. I have now stored my oils in my wooden box in my fridge so that they last longer. Thanks for the info. Great information! It is really awesome that you break this dowm for us. Some companies tell their clients that oils dont expire. I appreciate that PT cares about their customers enough to give us safe and factual information. Thanks for this, I didn’t know about your nitrogen barrier! I love it! Such a helpful summary! I keep my oils in a cool dark place and I put a little date sticker on them when I receive them. This was very concise and informative. This is something that I never considered before and am glad I am now aware as I start my essential oil journey. Very unforminfor! Thank you for the chart! Thank you for this explanation and information. I appreciate it! The information here is so helpful. Thank you for posting the shelf life chart. I have printed it and will start to track this now that I have a good collection of oils. i hadn’t thought of this, thank you! Much needed information, thank you. I’ve only had 2 bottles turn bad…grapefruit and cinnamon. And there was no wondering if they had crossed the line. Now that I have learned more about storage, I feel more confident. I purchased 2 of the big wooden boxes and several travel cases. My oils are always in the dark. I am going to add an oily fridge soon….before summer for sure. Texas summers are hot! This is very helpful. I appreciate your help in making sure we get the most from our oils. The chart is really helpful! I’ll probably print it out and put it with my essential oils now! Very informative! Super helpful! I’ve been trying to keep the dates purchased so I can rotate less used ones quicker! Thank you! Excellent information. Oil safety is important and I love the way this company promotes safety. I’m so happy I found Plant Therapy. All the misinformation out there, it’s hard to know what to trust unless you really do a lot of research. Very happy I did the research and made the wise decision to switch from a MLM to PT. Thank you Plant Therapy for all you do for your customers. This truly is a company that cares about it’s customers rather than just caring about getting their money. Thanks for the great information I love my oily fridge and feel like I’m getting the best shelf life available using it. Excellent tips and reminders here. I keep all of mine in my fridge regardless. With how much money I spend on them, I don’t want to even chance them oxidizing! Definitely worth getting a mini fridge if you’re a fellow oil junky. I’m fairly new to EOs and appreciate this great information. Thanks so much for the information! This has taught me so much! Excellent article. It’s nice to learn more about the oils. Shelf life is such a hot topic. Thank you for clearing it up Tyler. Thank you so much for this very informative post. I learned a lot. Really informative article. I think it would have been helpful to mention that different oils have different shelf lives, and included a chart. Carla, there is a chart, with a link in the article!! That chart is so helpful. Thanks! Fascinating, I just learned about EO shelf life a few months ago but this is better explanation of why it is important! Love this article very informative. I keep all my oils in the fridge so they keep for longer. This was a great read. I love the chemistry behind aromatherapy. Articles like this make me want to delve even deeper into it. LOVE, love, love this post. There is so much posting and confusion around this on SEOR and there are some really unpleasant people who feel it is their duty to point out everything someone is perceived to be doing wrong with essential oils. I mean everything from how many oils they choose to buy to how they store the oils to how they use the oils and more often than not, among all of the very positive help, there is a really negative or judgmental comment. I mean just because someone forgets to add a dilution ratio into a post doesn’t mean that they don’t dilute. The most often asked question I see is around the life of oils and I see some real trolls on the FB page. So much so that I have backed off from posting because somebody is so quick to correct what they perceive as an ‘error’. Instead of clarifying, they accuse or correct in a negative way. It’s a real turn off, unfortunately, because otherwise it’s a really nice page and I love the positive way that Tyler admin’s! But I do believe you would get more interaction from your 100K followers if there was some guidance on how to comment and some correction when someone is an obvious troll. So thank you for the clarification so we all have a great resource to reference when we’re wondering how long our essential oils last! I’ve always wondered how they came to the time periods they do for different oils. It makes sense that oils would oxidize, as any cooking oils we use can do so as well, but they all do at different rates. The rancid smell is the giveaway for them, but with essential oils I was never totally sure. I love the education aspect of this blog! One thing I always do is put my essential oils in the refrigerator right after purchasing them. I have heard that it does help double their shelve life. Citrus essential oils have the lowest shelf life. I use a lot of them, but I don’t want them to go bad. However, I do have a question for you? Is the rancid smell a myth? I have heard that if your essential oils smell rancid they could be going bad. Personally, none of my essential oils have ever smelled rancid or anything. Garen, oils can change in aroma when they oxidize, but don’t typically smell “rancid.” That smell associated with “rancid” products often comes from bacteria and mold, which essential oils do not grow 🙂 Hope this helps! I love how much food information you give pertaining to the safety of the oils you sell! Thank you!!! This was super-informative and very understandable. Thank you so much! Thanks for the great article! So the clock starts ticking once we receive the oil and NOT when we first open the bottle? Great information! I had started marking my bottles with the date of the test result, I will reconsider to use the date of purchase. Great hand out, I will add it to my binder! You say that once we receive them there shelf life begins So if this is true how do we know how long it’s been on your shelf? I was told the shelf life didn’t start until we opened them. Excellent blog post ~ learned a lot. Need to invest in a separate mini-refrigerator! Love this blog. Now when people ask I can just show them! Love this information! So so much to learn !! Thank you for this! Love how committed you are to making sure we have proper information.